Firm Valuation. 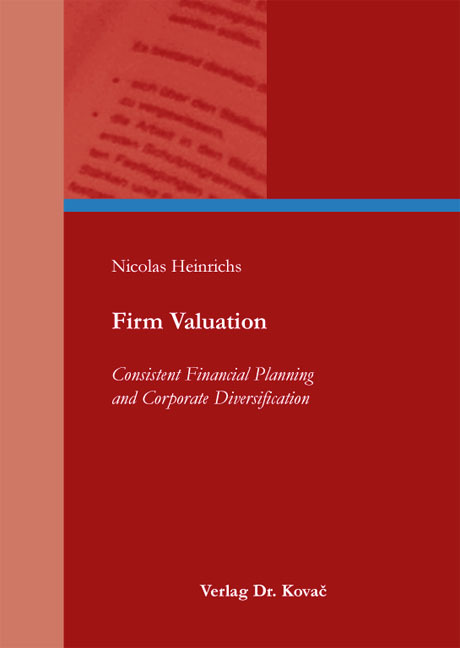 Dissertation von Nicolas Heinrichs, Verlag Dr. Kovač 2012, 166 S.
The accurate valuation of firms is an elementary practical and theoretical issue. The author demonstrates how standard equity valuation models can be extended by broadening the consistent financial planning approach to account for non-ideal valuation conditions. He investigates how these extended valuation models perform on a large data set of firms. His research further provides significant contributions on how the co-movement of firm fundamentals behaves across the business cycle and how the degree of corporate diversification can be incorporated into a valuation framework. Dr. Nicolas Heinrichs received his doctor’s degree at the Graduate School of Risk Management, University of Cologne.